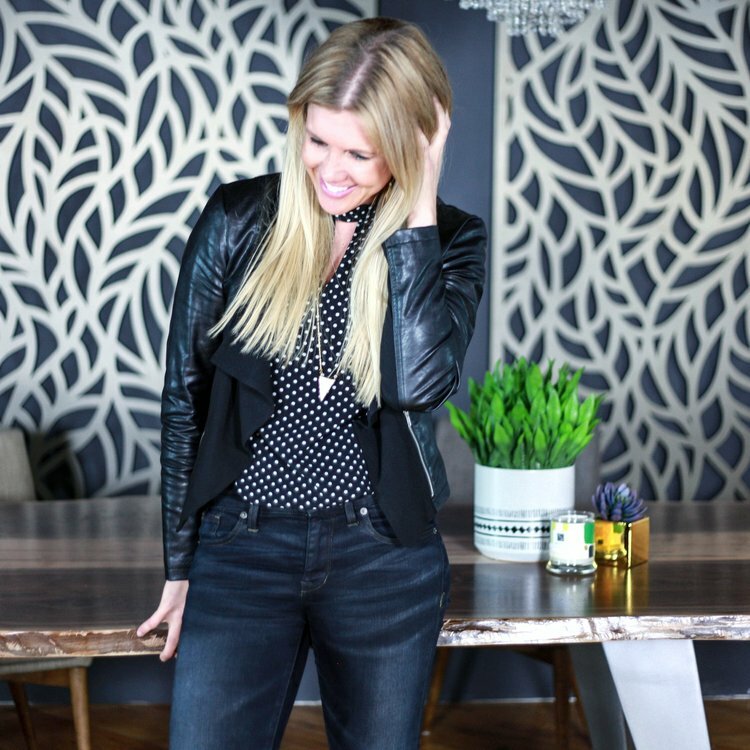 Brianne Boettner, founder of Timber & Tulip. 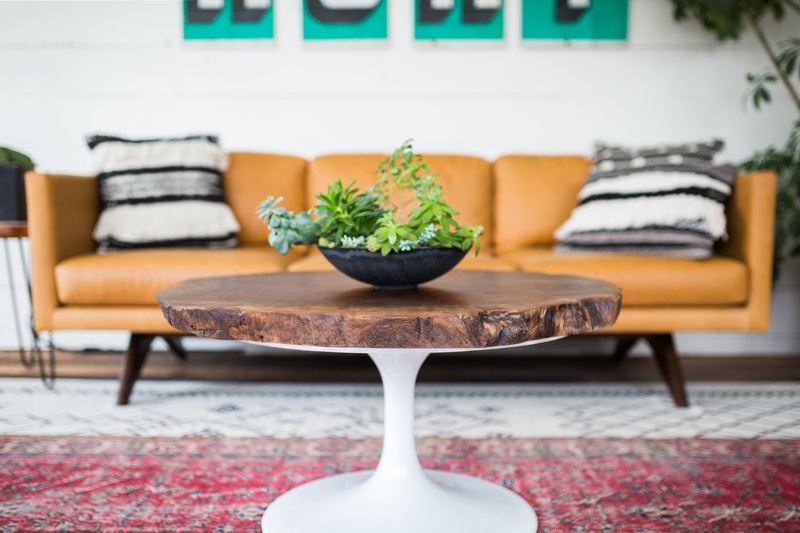 When we last talked with Brianne Boettner, the furniture designer and founder of Timber & Tulip, she had just quit her corporate job, moved into a studio at the Northrup King building, and enjoyed tons of interest in her work at the 2017 Minneapolis Home + Remodeling Show. 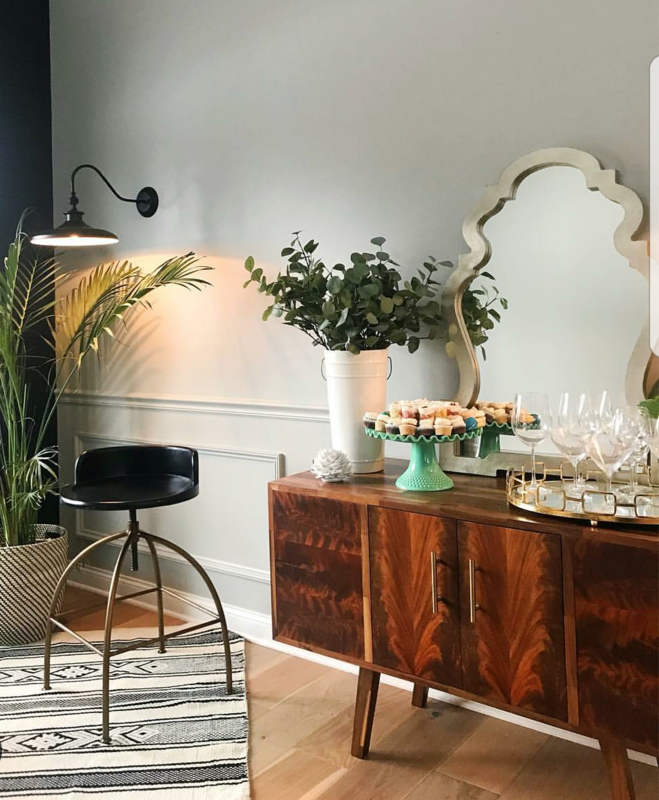 Now, a year later, business is so good she’s moving into a 5,000-square-foot showroom/production facility off 27th and Louisiana in St. Louis Park. 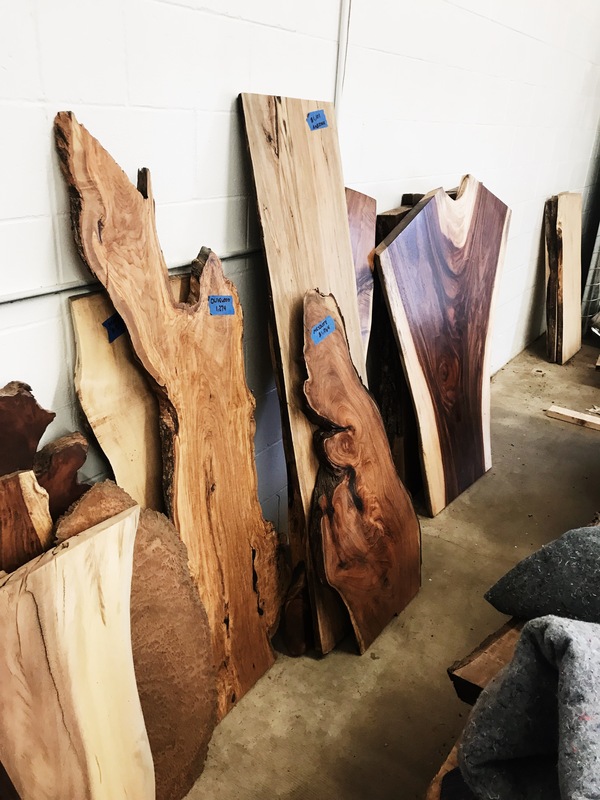 During the grand opening on November 29, from 5-9 p.m., visitors can feast their eyes on new coffee, end, and dining tables, credenzas, and shelving, along with 50 slabs of raw live-edge slabs that are available for clients’ future custom projects. Holiday gifts, including trays, cutting boards, candles, and business card holders, will be available for purchase. We asked Boettner about her meteoric trajectory and why she’s so interested in live-edge furniture. How did you manage to turn your side hustle into a career so quickly? It has been an ongoing learning process since I started this business. I was previously in finance, not design, so I had a lot to learn! I think the biggest catalyst for Timber & Tulip has been to simply get out there and always be open to any and every opportunity that presents itself (pop-up markets, brand collaborations, networking, you name it.) The doors that have been opened and business that has been created simply by saying “yes” is what I believe has gotten me to where I am today. In addition to the focus on beautiful furniture and excellent customer service, of course! How is the new showroom different from your space at Northrup King? I work with local fabricators to build all of my designs. Before moving into the new showroom, that meant working with multiple fabricators in multiple locations. As the business grew, logistics became more and more difficult under this model. I needed to centralize that process, while maintaining a showroom where clients could come and see the furniture/materials and walk through the customization process. One day one of my fabricators, Nic Frost from Nic Frost Cabinetry, approached me about an opportunity for a new, larger facility that could act as both a showroom and production facility. It was like the stars had aligned. It was quickly clear that this was the natural next step for Timber & Tulip. The biggest evolution in my style has definitely been my growing love/small obsession with finding and incorporating beautiful, one-of-a-kind wood into my designs—while maintaining that clean, modern feel. If you find the right piece of wood, everything else is easy! How do you think the new showroom will further boost your business? I believe this new space will create the kind of experience that my clients are looking for—for both residential and commercial projects. 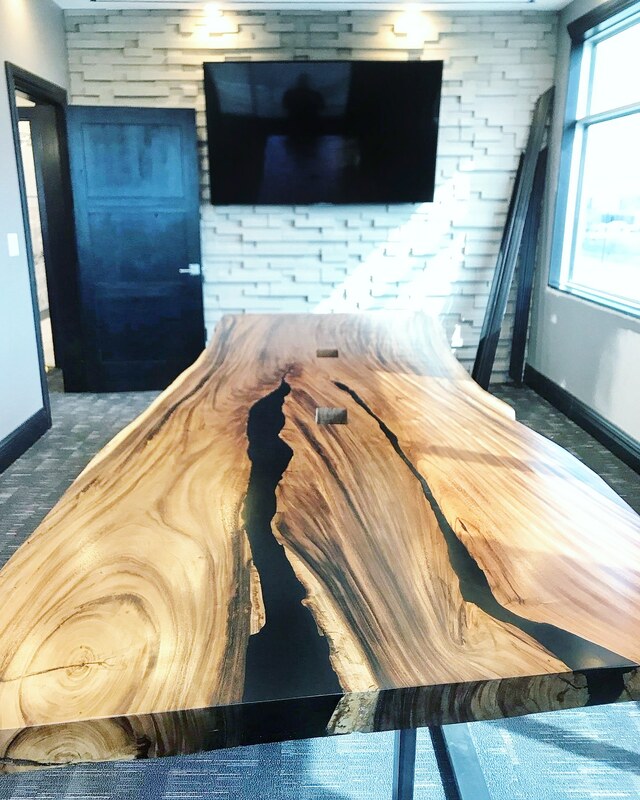 Clients can now come in and see/touch these stunning pieces of live-edge slabs firsthand—wood pieces haven’t had the curves shaved away or softened, that still retain their natural shape—creating a truly hands-on custom furniture experience.